For all health professionals/cancer information centres/nurses/social workers/GPs/Parent support Groups. Welcome to the Youth Cancer Trust website hospitals and professionals section. This section has been designed to enable you to access as much information about our charity holidays as possible in order for you to answer any questions you or a patient may have. 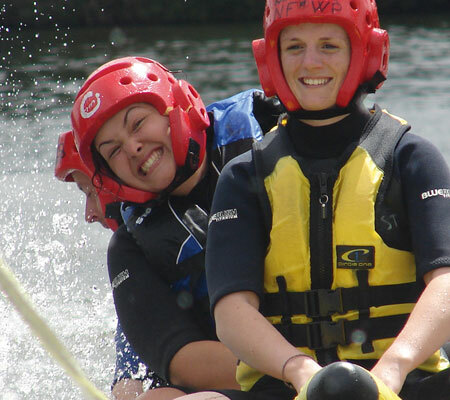 The Youth Cancer Trust (YCT) provides free activity based holidays in Bournemouth for teenagers and young adults (aged 14 to 30) who are living with cancer, in remission for up to 5 years or living with late effects. We take groups of 8 each week, which are made up of appropriately aged youngsters – of similar ages. When young people are diagnosed with cancer, the effects upon them, their families, their friends, arguably their school and local community are profound. Testimonial evidence confirms that these young people desperately need to meet with peers who are undergoing similar trauma in their lives, relieving the sense of isolation they feel during illness and at such a critical age. The emphasis at The Youth Cancer Trust is upon regular activity holidays, relaxation with peers and communication. There is no other organisation, charitable or otherwise, which specifically targets this need as its core function. It sounds simple – but it is subtle and much needed. These young people need to meet each other, talk to each other, do activities which are fun and increase their sense of self-esteem and worthiness. They need to get away from worried and distressed parents for a week and to behave like ‘normal’ teenagers for a while in groups of other young people going through a similar experience. The Youth Cancer Trust accepts youngsters from all areas of the UK and Ireland. All the costs of the holiday are paid for by the Trust which doesn’t receive any statutory funding, including the costs of transportation to and from their home to Tracy Ann House in Bournemouth. Youngsters often come from impoverished areas in the UK and have often expressed delight at seeing the sea for the first time. Many suffer from depression and a lack of confidence due to being excluded from the ‘normal’ activities a young person usually takes part in, such as school, university, relationships or just simply socialising with one another at parties, etc. We undertake an evaluation of the charity by the use of a simple questionnaire process given to all the guests who stay at Tracy Ann House. These questionnaires are evaluated free of charge by a social research consultant. Last year, of the 230 young cancer patients who stayed with us, 91% reported feeling an increase in confidence since their YCT holiday. YCT is open all year round and takes groups of 8 each week. They may come to stay before, during or after cancer treatment. Patients can return every year and often develop lifelong friendships with the rest of the group they holiday with. “Patients who have sampled the delights at Tracy Ann House have returned refreshed,excitedand perhaps most importantly ‘with renewed optimism for life and their future”. (Senior Social Worker, Hilary Hollingsworth, Royal Orthopaedic Hospital,Birmingham). The Youth Cancer Trust takes the safety and care of young people very seriously – Please view and download our policies here. Guests who have already had a holiday at YCT. If you come in contact with any young cancer patient between 14 and 30 years who could benefit from one of our holidays please would you be kind enough to help us by promoting our holidays in your workplace? You can put together your own group of 8 from a particular hospital or charity. We need to raise awareness about The Youth Cancer Trust across the UK & Ireland in hospital wards, doctor’s surgeries and cancer information centres. It has been reported to be a positive moment when offering a holiday to a young person who is going through treatment – it can give them something exciting to look forward to and is being recognised as part of the holistic approach in treating young cancer patients. We have a range of FREE promotional material available to you which includes A4 or A5 laminated posters, A5 leaflets, application forms, newsletters and videos/DVDs. Our videos / DVD in particular are an excellent advert for our holidays made by some of our youngsters they are completely un-scripted. Please see our Youth Cancer Trust Order Form to order new resources or extra supplies.